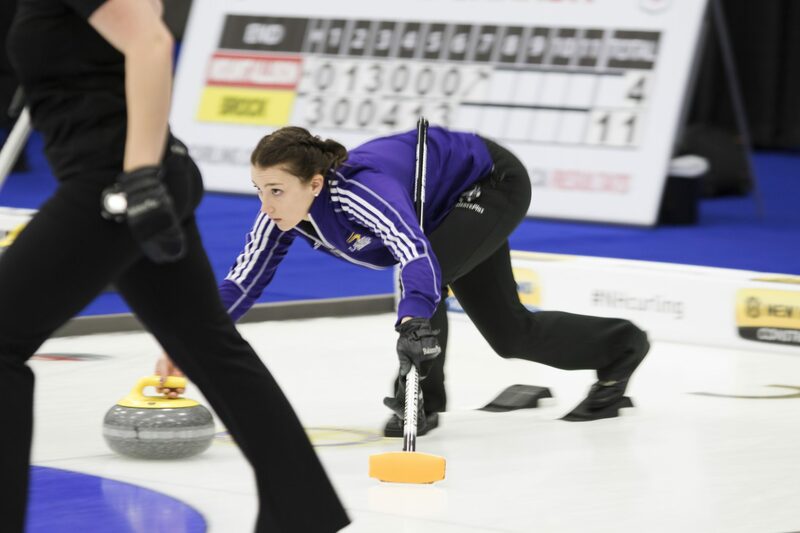 The Wilfrid Laurier University varsity curling teams started 2019 with a bang this past weekend in St. Catharines as the Hawks competed at the Brock Invitational. Both the women’s and men’s teams put up an impressive display in their first competition since November, as the men’s team finished the Invitational with a record of 3-1-1 while the women went 4-1. The competition was a two-day event and the men’s team went undefeated on day one with a 3-0 record as they defeated McMaster, Ryerson and Guelph. Day two did not go as well for the Hawks as they were beaten 8-2 by their rivals, the Waterloo Warriors, before drawing with Queen’s to finish the Invitational. With the men’s and women’s roster full of young talent, it will be exciting to see how far the Hawks can go in 2019. The men will now compete in the McMaster Invitational this weekend in Hamilton before returning home for the OUA championships. The women’s team went 2-1 on day one with victories against Ryerson and McMaster and their lone defeat coming at the hands of Guelph. On day two, the women beat Brock’s junior varsity team by a score of 13-1 and defeated Queen’s after that in what was a rematch of the OUA final from last year, a game which the Hawks also ended up winning. A strong showing at the Brock Invitational was important for both curling teams as this season is filled with high expectations. Not only are the Laurier women defending OUA champions, the purple and gold are also going to be hosting the OUA championships in February this year. If the Brock Invitational is any indication of what’s still to come this season, bigger and better things are coming up for the Laurier curling teams.